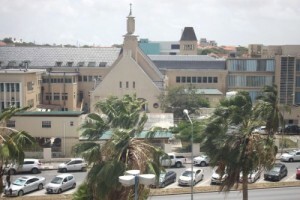 WILLEMSTAD - The Health Inspectorate imposed a non-compliance penalty of 20,000 guilders for each week that the healthcare institution fails to comply with two required conditions as of Friday, November 10. The inspection requires that the Board of Directors give insight into the terms of the agreement with a surgeon previously denied access to the hospital. The other condition is that as long as the details of the agreement with this surgeon have not been submitted to the inspection, the employment contract between the hospital and the surgeon is suspended. Chairman of the Board of Directors, Anthon Casperson indicated that he will not comment on matters of the inspection when it is about someone who is involved with the healthcare institution.